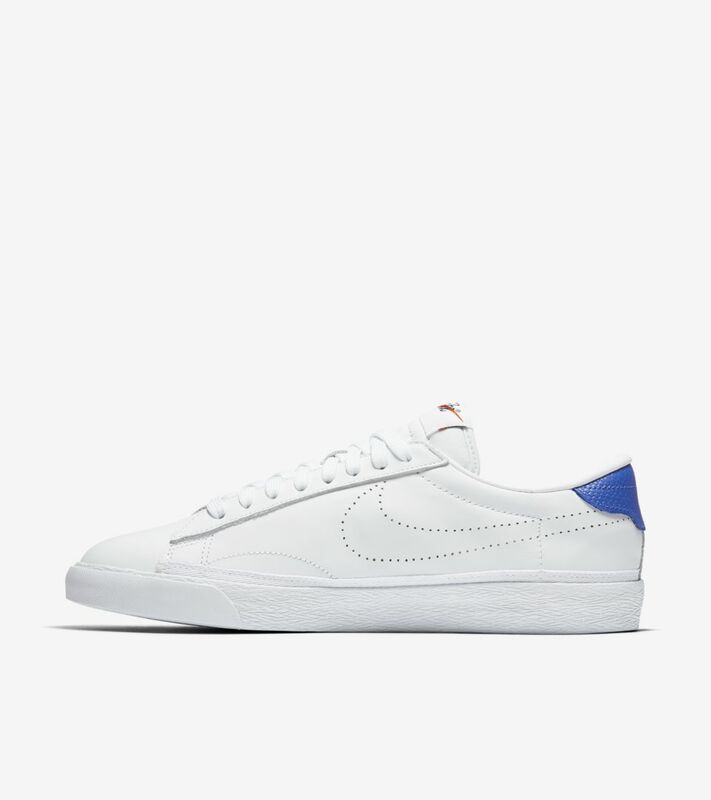 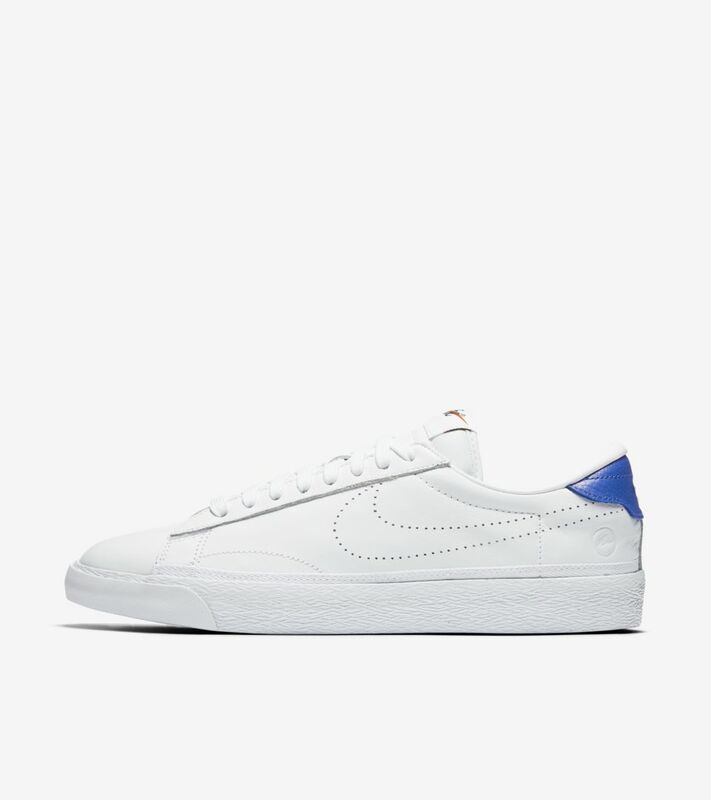 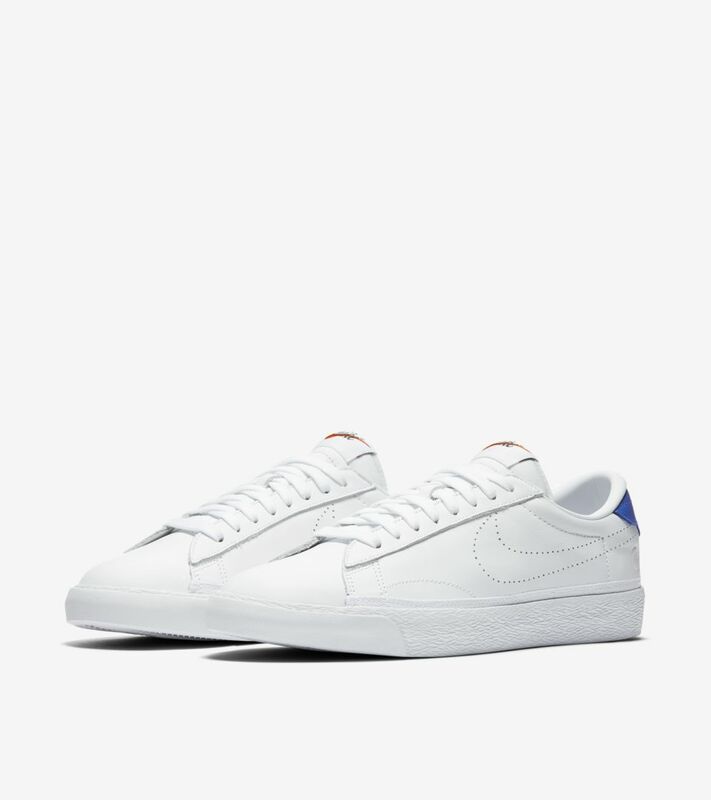 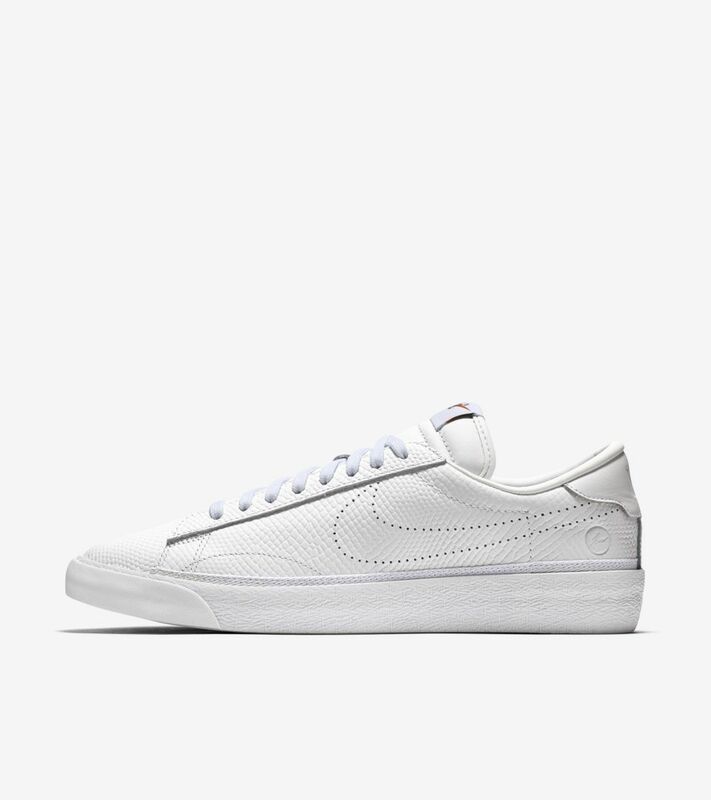 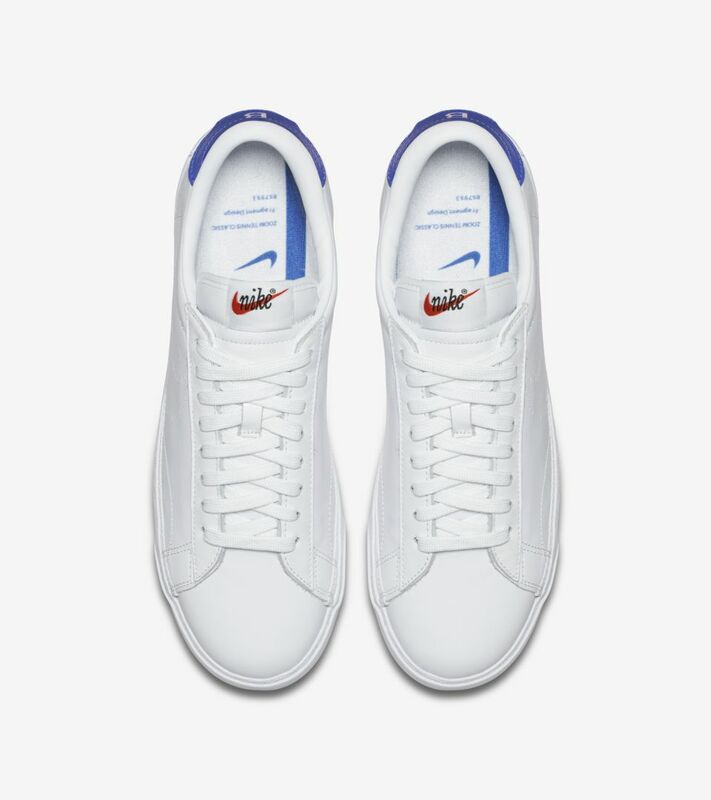 The 1982 Tennis Classic silhouette was created for court competition. 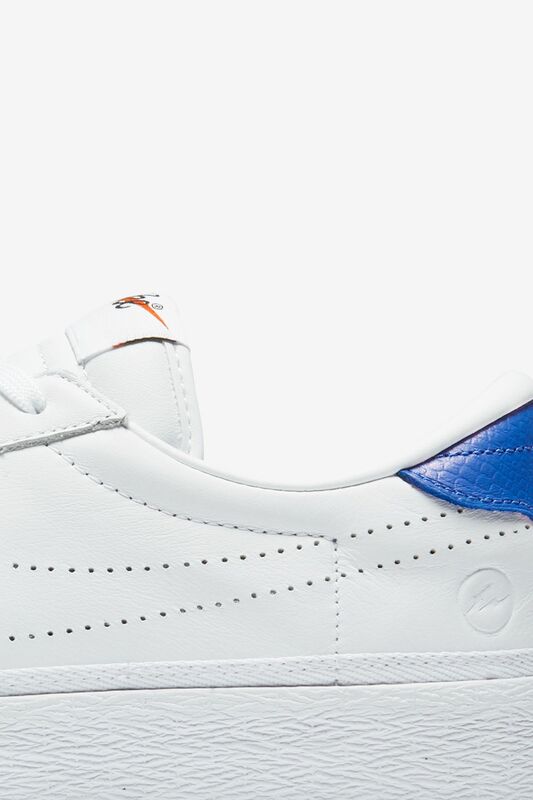 The model now lives on as a lifestyle option and has been elegantly elevated by fragment design’s Hiroshi Fujiwara. 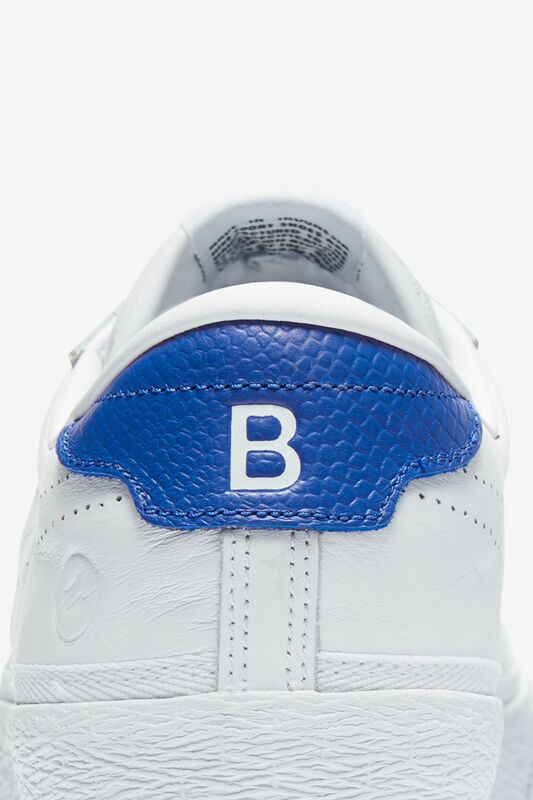 The new look is presented with a premium leather upper and game royal detailing set in premium suede. 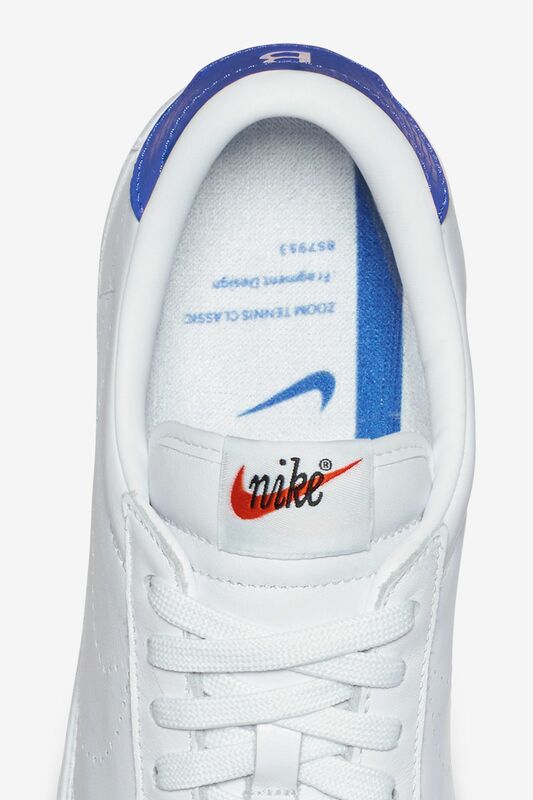 An AC sole and modern Zoom Air cushioning is utilized below. 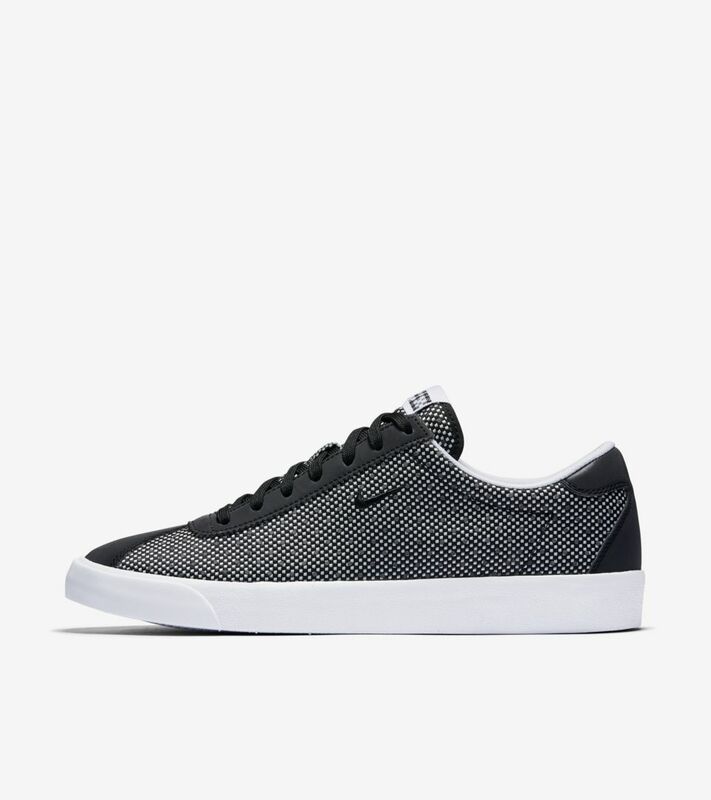 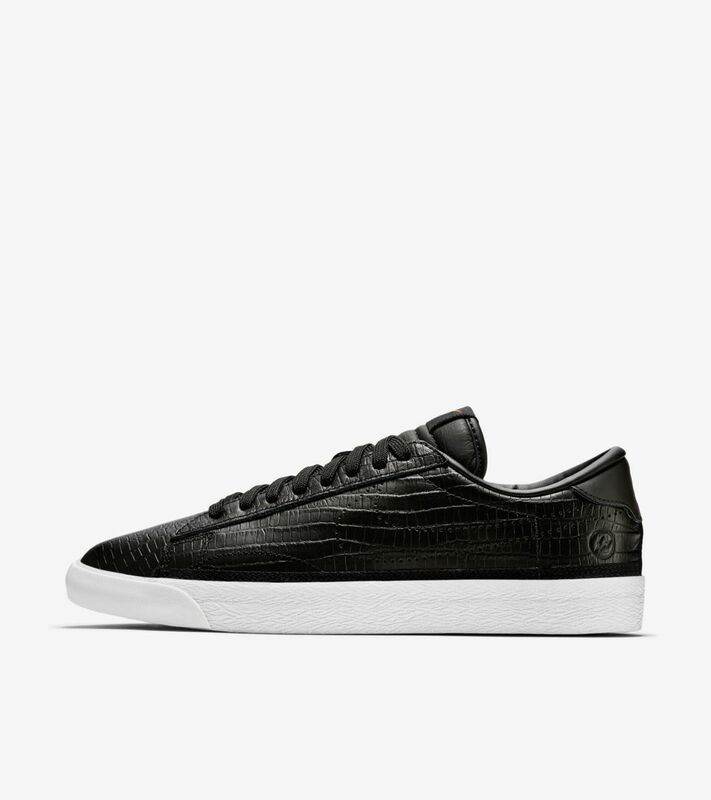 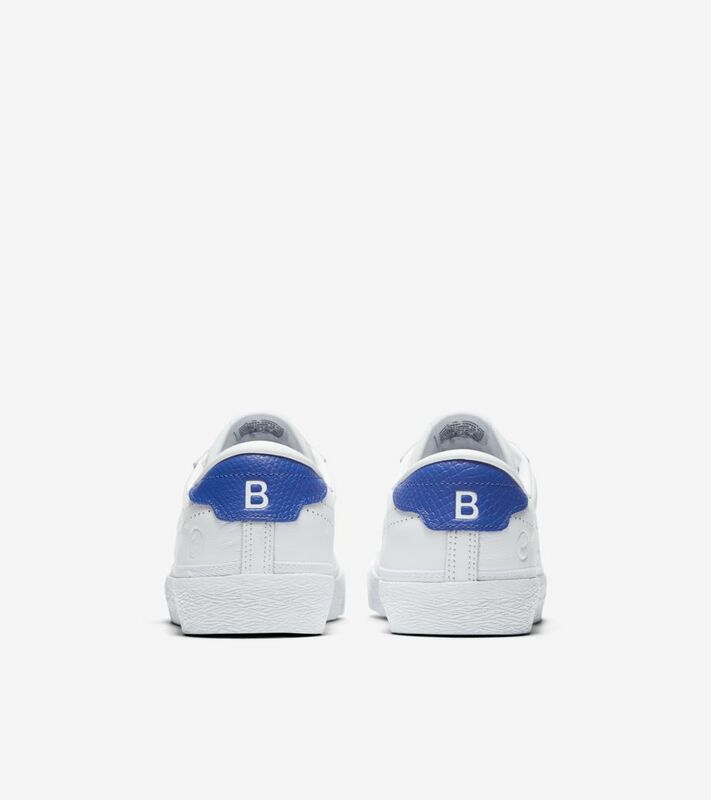 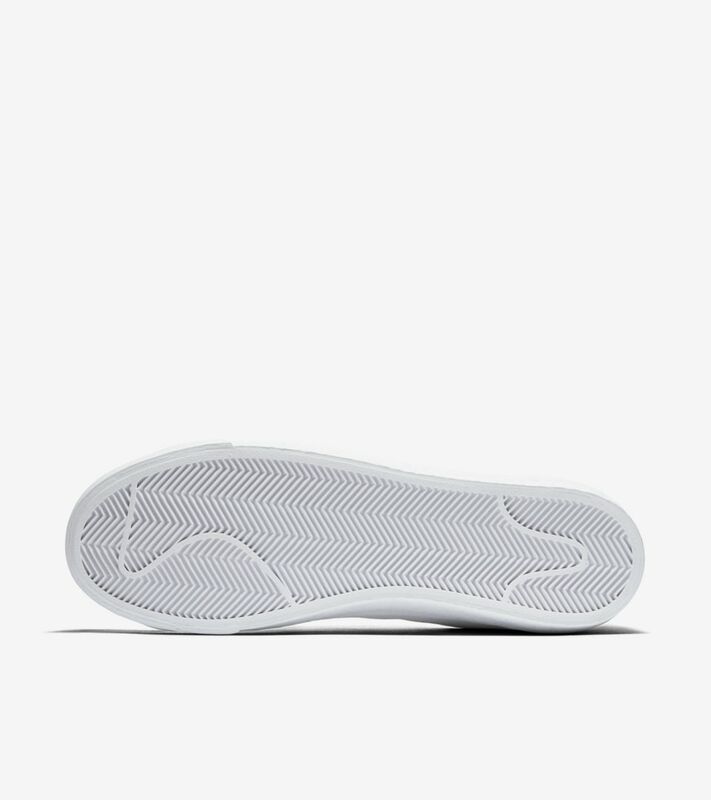 A stamp of approval by fragment design is embossed on the heel.